One of my favourite brand of toys for Elliot is Schleich and we have actually reviewed some of their figures on the blog last Summer. Schleich believe in educational play and I covered this in detail in my last review which can be found here. We were sent the Farm World Starter Set and included in this were a cow, lamb, rooster and donkey. 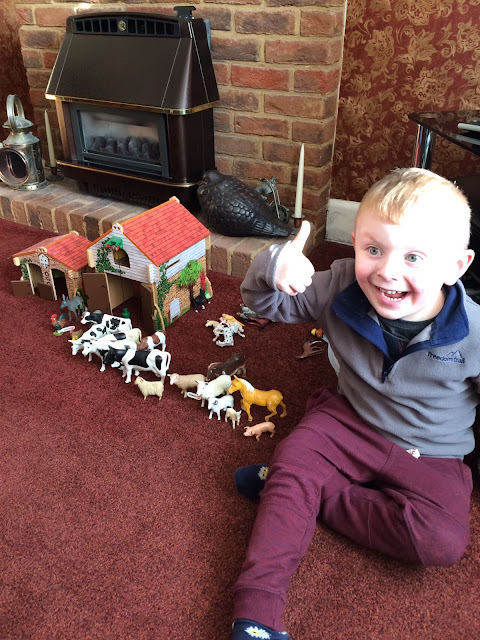 Elliot was over the moon with this selection, he has alot of animal figures already but no roosters so this was a big plus point for him! As with all Schleich figures, the quality is outstanding. The figures are handpainted and the attention to detail is second to none. I would say that the Schleich brand is easily recognisable with the weight and the feel of the figures. 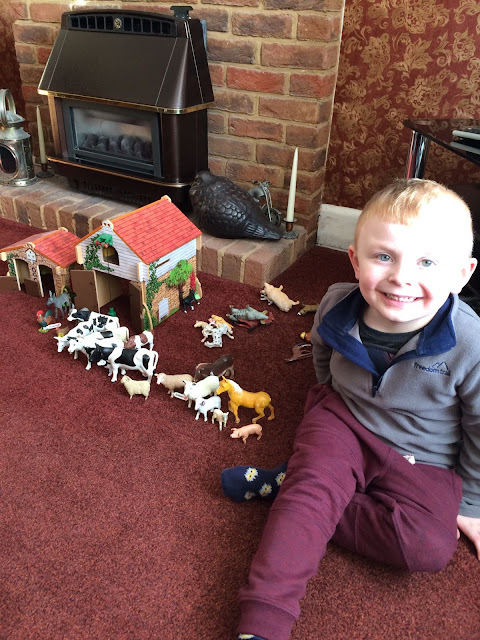 Elliot adores playing with animal figures and he couldn't wait to take these new ones down to his Grandparent's house where they have a whole host of animal figures and farms. 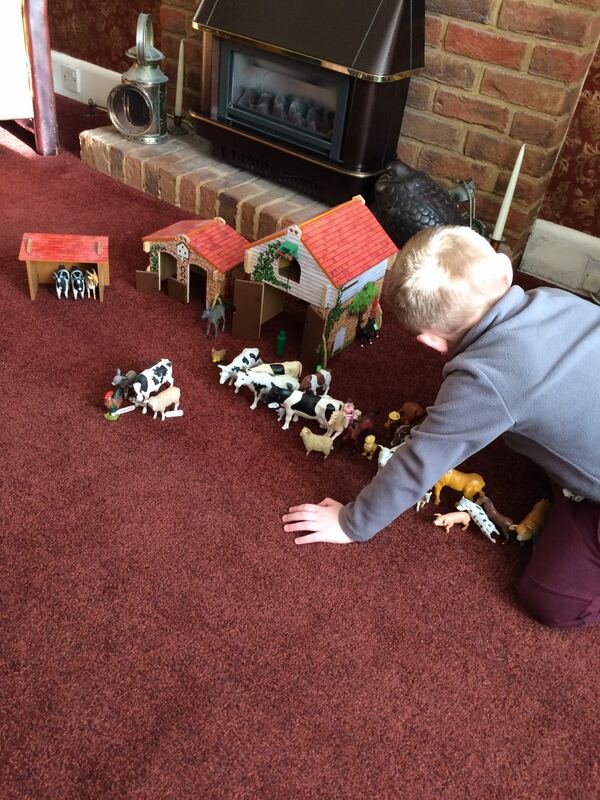 As you can see from the photos below, it didn't take the animals long to settle in! Playing with toys such as these ones really fires up Elliot's imagination and he spends ages acting out life on the farm, complete with voices! The animals are easily recognisable for children of a pre-school age and it's a great introduction to Farm Life. The Schleich figures are suitable for children aged 3-6 but I would say both younger and older children would enjoy playing with them too. The toys are very well made and sturdy and will last and last so I'm sure when baby Erin is 3/4 years old, Elliot will enjoy playing with them again! The full collection can be found at www.schleich-s.co.uk and the price for the Farm World Starter Kit is £14.99.